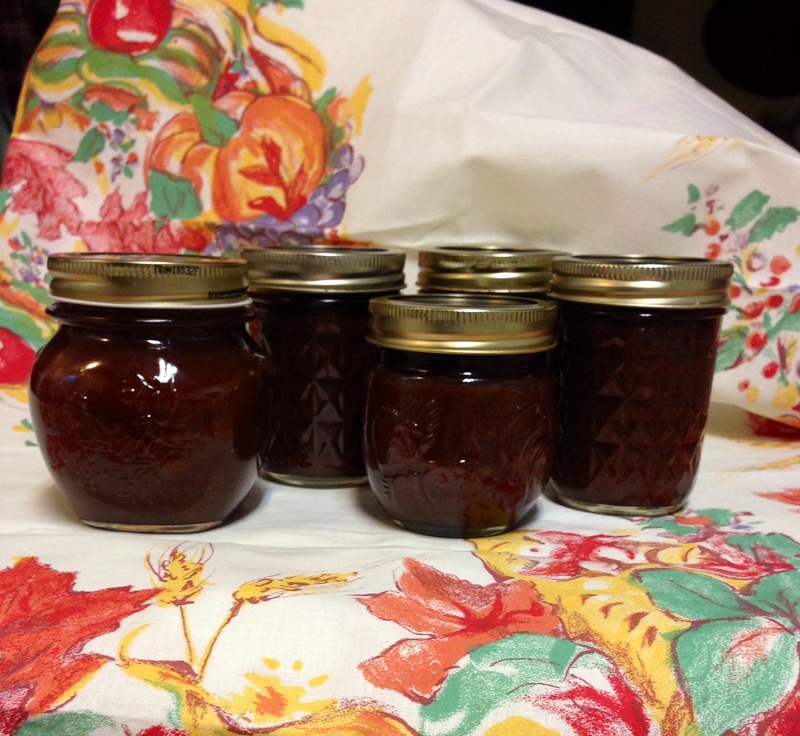 Apple butter is a must for my fall each year. Its flavor and fragrance are so reminiscent of my childhood years that I make sure to either make or buy some every autumn. A few years ago I learned that making my own isn’t terribly difficult, so I made it yearly for my family, but after I began working full time, I didn’t have the hours that it took to make it myself any longer. That was, until I decided to make it in my slow cooker and then refrigerate or freeze it instead of canning it. That cuts down massively on the amount of time it takes to make a delicious batch! No need to stir a pot all day on the stove, and no need to pull out the boiling water canner and go through that fun but time-consuming process. Combine dry ingredients in a medium mixing bowl, whisking to combine. Whisk in the vanilla extract. Sprinkle the sugar mixture over the apples in the large mixing bowl, and use your clean hands to toss, completely coating every slice. Transfer to 6-quart slow cooker. Mine was filled to the rim! Cook on low for 9 to 10 hours, stirring occasionally if you happen to walk by. At the end of that time, use your immersion blender to smooth out the apples. I like mine to be somewhat chunky, so I don’t completely puree it. Taste at this point to see what you think; you might want a smidgen more of cloves, for example, or another teaspoon of vanilla extract to make it taste just the way you want it. If the apple butter is thinner than you’d like, remove lid and continue to cook on low for another half hour or more, as long as you are nearby to keep an eye on it. Beware of scorching. This apple butter must be stored in the fridge, or if you’d prefer to freeze, leave at least 1 1/2 -inch headspace when pouring into clean jars for expansion before putting in the freezer. (Or freeze in freezer bags, if you prefer.) Since we didn’t can it with boiling water, it isn’t shelf stable. Enjoy your apple butter on hot biscuits or rolls, toast, English muffins or croissants (can you tell I like breads?) or perhaps warm a bit of it to serve as an ice cream topping or glaze over your pound cake. I often ate it in place of jelly on my PB & J sandwiches when I was growing up! I just love it, and hope you do, too. Copyright 2013 Stephanie Hill-Frazier. All rights reserved. 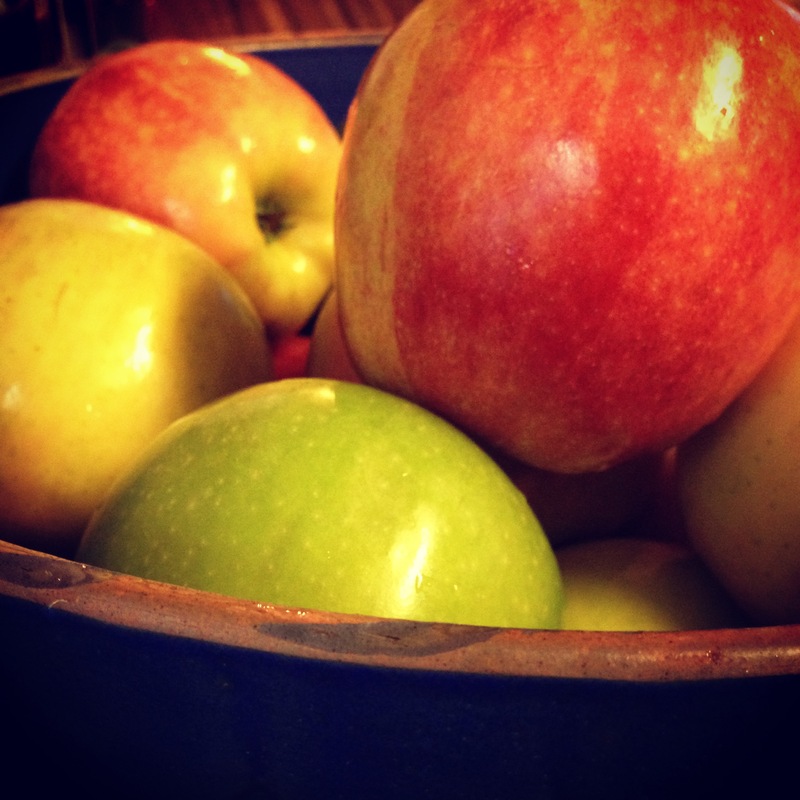 Pingback: Apple-Pumpkin Bliss Butter | What's On the Stove?